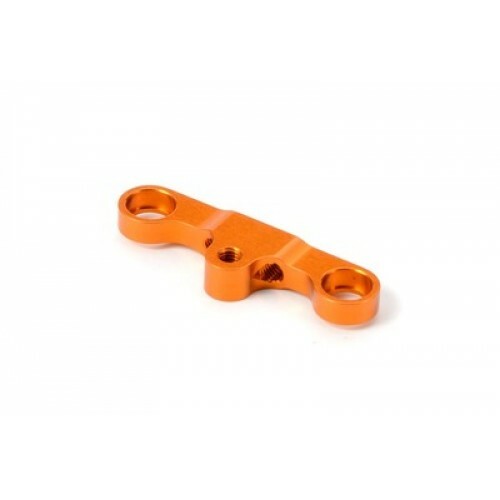 The distance between the steering linkage was modified to improve in-corner steering and give better stability in chicanes. The steering plate also works as a mechanical stop for the steering throw, limiting the steering angle to 25° in order to smoothen steering response and maintain maximum cornering speed. Orange color.